NYC, 04/17/2019, 12:00PM. 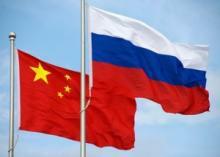 China's and Russia's Sharp Power: How Big a Threat?. A roundtable discussion on China's and Russia's sharp power.